I was pretty excited when I first heard about Re Jane. A contemporary Korean American retelling of Jane Eyre? Yes, please. It's one of my favorite classics, and one I've had success (and some failures) with the retelling thereof. Authors do love to tinker with this tale. I've read every kind of version, from scifi and fantasy to steampunk and contemporary, and I am nothing if not up for another go. So I went into Patricia Park's debut novel with somewhat high hopes, even having heard that the Rochester character's wife was in fact alive and kicking and not at all locked up in their Brooklyn brownstone's attic. I decided to give Ms. Park the benefit of the doubt. I also love this cover. So modern, so bright, so full of promise. Jane Re has thus far lived a lackluster life by most standards. She's spent her whole life under the thumb of her unloving and unmoving aunt and uncle, slaving away in the family grocery store at all hours and never quite managing to live up to expectations or fit into her Korean American Queens neighborhood. Finally, she graduates and, against everyone's better judgement (including possibly her own), takes a job as an au pair for a somewhat unorthodox couple in Brooklyn. The Mazer-Farley household is something of an enigma. Beth Mazer flits around bound and determined to be the most nonjudgmental of free spirits and insists her adopted Chinese daughter Devon and her fellow academic husband Ed follow suit. As Jane settles into her new home, she finds the workings of this unusual family fascinating, but the deeper entrenched she becomes, the harder it is to define just what role she is to play in their lives. So. My favorite parts of this novel were unquestionably the early sections in which Jane describes her time in Queens, her interactions with her family, and her observations on how isolated she feels from everyone around her. I followed her willingly into the Mazer-Farley's house in her pursuit of something more, of a different kind of life. Her burgeoning relationship with the little girl Devon was, I thought, well-drawn and lovely. Unfortunately, when her relationship extended to falling in something with Ed Farley, my enjoyment came to a sound close. There was some attempt to portray how ill suited Ed and Beth were for each other, to pay lip service to the slow deterioration of their marriage, and to reserve any actual acting on their feelings for after the reader could "reasonably" be expected to have made their peace with the fact (if necessary). And the truth is that my main objections were not solely related to the fact that Jane and Ed were embarking on a relationship while all three adults (all three in possession of their right minds) were living in the same house together with an already conflicted (but brilliant) child there as well. I was actually most put off by the fact that Ed Farley was utterly lifeless and Jane seemed to lose vigor and presence in her own story (and in my mind) with every moment she spent with him. 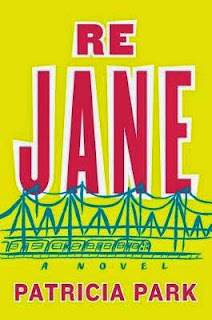 I realize this is an updated retelling of the original, that it deviates in intentional and important ways, that it is much more about Jane's arc toward independence and self-fulfillment. But. She never resurfaces from her time with Farley. She escapes, feels remorse, and embarks on a journey to her homeland and yet her entire experience in Korea seems to whittle her down even further, until there is so little of the Jane I knew and loved in the beginning that she hardly warrants the name. She makes connections with her family and her past, yes, but it remains stubbornly unclear how these connections will inform her future life. Upon her return to America, I hoped for some revivification. I hoped for some of the wisdom and independence and control the narrative had led me all along to expect at some point. But it never came, or rather it came in name only, spelled out in so many words upon the page but containing in those words none of the actual emotion or heart one might expect to accompany a young woman coming full circle and taking up the reins of her life at last. I closed the book feeling . . . empty mainly.